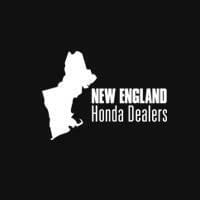 Car shoppers throughout the Northeast are finding out that the number one resource for all things Honda—with service and vehicle information well beyond the sale—is their New England Honda Dealers. Watch our resident Honda expert, HondaPro Jason, as he takes you on a tour of the 2018 Honda Pilot. Check out these Tips and Tricks videos about the reversible hatch mat, 3rd-row seating, USB ports, SportsFlash, and SiriusXM Radio with Tune Start. The 2018 Honda Pilot is the ultimate three-row SUV and now they’ve made it even easier to access the third row. Entering and exiting the Pilot is as simple as pushing a button, conveniently located at the base of the second row to get in and at the top of the second row to get out. Everyone knows the 2018 Honda Pilot features ample cargo space behind the third row of seating. What you might not know is the hatch mat can be reversed for a hard, plastic surface that is not only perfect for wet or dirty items, but also protects the Pilot’s original carpet. Never miss another scoring update from your favorite team while driving your 2018 Honda Pilot. Thanks to SportsFlash and the Display Audio touchscreen, you will never have to fumble with your smartphone or surf the dial for a specific score ever again. Simply enter your favorite leagues and teams into the settings, and SportsFlash will interrupt your radio whenever there has been a change in score. SiriusXM Radio wants to make sure you hear your favorite songs in their entirety. Using Tune Start, found within the audio settings of your Display Audio touchscreen, this feature is designed to play the current song of a selected station preset from the very beginning. In this day and age of smartphones and tablets, USB ports are a necessity. Lucky for you, the 2018 Honda Pilot comes equipped with three USB ports, two of which are 2.5 amp. Keep your devices charged and stay connected inside the 2018 Pilot. 19 city/27 highway/22 combined mpg rating for 2WD 6-speed automatic. 18 city/26 highway/21 combined mpg rating for AWD 6-speed automatic. 20 city/27 highway/23 combined mpg rating for 2WD 9-speed automatic. 19 city/26 highway/22 combined mpg rating for AWD 9-speed automatic. Based on 2018 EPA mileage ratings. Use for comparison purposes only. Your mileage will vary depending on how you drive and maintain your vehicle, driving conditions and other factors. MSRP excluding tax, license, registration, $995.00 destination charge and options. Dealers set own prices. Blu-ray is a trademark of the Blu-ray Disc Association. HDMI, the HDMI Logo, and High-Definition Multimedia Interface are trademarks or registered trademarks of HDMI Licensing LLC in the United States and other countries. HD Radio is a proprietary trademark of iBiquity Digital Corporation. Apple CarPlay is a trademark of Apple Inc.  Android, Android Auto, Google Maps and Google Now are trademarks of Google Inc. Carrying too much cargo or improperly storing it can affect the handling, stability and operation of this vehicle. Follow applicable load limits and loading guidelines. CMBS cannot detect all objects ahead and may not detect a given object; accuracy will vary based on weather, speed and other factors. System operation affected by extreme interior heat. System designed to mitigate crash forces. Driver remains responsible for safely operating vehicle and avoiding collisions. Road Departure Mitigation only alerts drivers when lane drift is detected without a turn signal in use and can apply mild steering torque to assist driver in maintaining proper lane position and/or brake pressure to slow the vehicle’s departure from a detected lane. RDM may not detect all lane markings or lane departures; accuracy will vary based on weather, speed and road condition. System operation affected by extreme interior heat. Driver remains responsible for safely operating vehicle and avoiding collisions. LKAS only assists driver in maintaining proper lane position when lane markings are identified without a turn signal in use and can only apply mild steering torque to assist. LKAS may not detect all lane markings; accuracy will vary based on weather, speed and road condition. System operation affected by extreme interior heat. Driver remains responsible for safely operating vehicle and avoiding collisions. ACC cannot detect all objects ahead and may not detect a given object; accuracy will vary based on weather, speed and other factors. ACC should not be used in heavy traffic, poor weather or on winding roads. ACC only includes a limited braking function; driver remains responsible for slowing or stopping the vehicle to avoid a collision. The systems are not a substitute for your own visual assessment before changing lanes or backing up, and may not detect all objects, or provide complete information about conditions, behind or to the side of the vehicle. System accuracy will vary based on weather, size of object, and speed. Driver remains responsible for safely operating vehicle and avoiding collisions. 280 hp @ 6000 rpm, 262 lb-ft @ 4700 rpm (SAE net). Always visually confirm that it is safe to drive before backing up; the rearview camera display does not provide complete information about all conditions and objects at the rear of your vehicle. For optimal tire wear and performance, tire pressure should be checked regularly with a gauge. Do not rely solely on the monitor system. Please see your Honda dealer for details. The Bluetooth word mark and logos are owned by the Bluetooth SIG, Inc., and any use of such marks by Honda Motor Co., Ltd., is under license. The USB interface is used for playback of MP3, WMA or AAC music files from digital audio players and other USB devices, as well as smartphone data transfer on designated Smartphone/Audio Interface ports. Some USB devices and files may not work. Please see your Honda dealer for details. Display accuracy will vary based on weather, size of object and speed, and the display may not show all relevant traffic. The display is not a substitute for your own direct visual assessment of traffic conditions before changing lanes. Compatible with select phones with Bluetooth. Your wireless carrier’s rate plans apply. State or local laws may limit use of texting feature. Only use texting feature when conditions allow you to do so safely. Check the HondaLink website for smartphone compatibility. SiriusXM services require a subscription after any trial period. If you decide to continue your SiriusXM service at the end of your trial subscription, the plan you choose will automatically renew and bill at then-current rates until you call SiriusXM at 1-866-635-2349 to cancel. See our Customer Agreement for complete terms at www.siriusxm.com. Fees and programming subject to change. XM satellite service is available only to those at least 18 years and older in the 48 contiguous United States and D.C. ©2017 SiriusXM Radio Inc. Sirius, XM and all related marks and logos are trademarks of SiriusXM Radio Inc.  Pandora, the Pandora logo, and the Pandora trade dress are trademarks or registered trademarks of Pandora Media, Inc. Used with permission. Compatible with select smartphones. See: www.pandora.com/everywhere/mobile. Not all devices compatible with USB connection. Your wireless carrier’s rate plans apply. The Honda Satellite-Linked Navigation System and DVD Rear Entertainment System are only available separately on EX-L models. The Honda Satellite-Linked Navigation System is available on EX-L models and standard on Touring and Elite models in the United States, Canada and Puerto Rico. (Honda HD Digital Traffic service only available in the United States, except Alaska.) Please see your Honda dealer for details. NHL and the NHL Shield are registered trademarks of the National Hockey League. ©NHL 2017. All Rights Reserved. 3-Year/36,000-Mile Limited Warranty. 5-Year/60,000-Mile Limited Powertrain Warranty. Ordinary maintenance or adjustments, parts subject to normal wear and replacement, and certain items are excluded. Please see your Honda dealer for the terms and conditions of the limited warranties. iPhone is a registered trademark of Apple Inc. Honda reminds you and your passengers to always use seat belts and appropriate child seats. Children 12 and under are safest when properly restrained in the rear seat. Specifications, features, illustrations and equipment shown in this brochure are based upon latest available information at the time of printing. Although descriptions are believed to be correct, accuracy cannot be guaranteed. American Honda Motor Co., Inc., reserves the right to make changes at any time, without notice or obligation, in colors, specifications, accessories, materials and models. Some features mentioned herein are not available in all areas. Please see your Honda dealer for details. Some vehicles may be shown with optional equipment. Available = Optional. All images, logos, or trademarks contained herein are either owned by American Honda Motor Co., Inc., or used under a valid license from or permission of the owner or sub licensee. It is a violation of federal law to reproduce or otherwise use these images, logos or trademarks without express written permission from American Honda Motor Co., Inc., or the individual copyright/trademark owner. Honda Financial Services is a DBA of American Honda Finance Corporation. Honda, the H mark symbol, Honda Care, Honda LaneWatch, HondaLink, Honda Satellite-Linked Navigation System, Honda Sensing, Collision Mitigation Braking System, CMBS, EarthDreams, ECON logo, HandsFreeLink, i VTEC, i-VTM4, intelligent Variable Torque Management, Variable Cylinder Management, VCM and Walk Away Auto Lock are trademarks of Honda Motor Co., Ltd. © 2017 American Honda Motor Co., Inc.